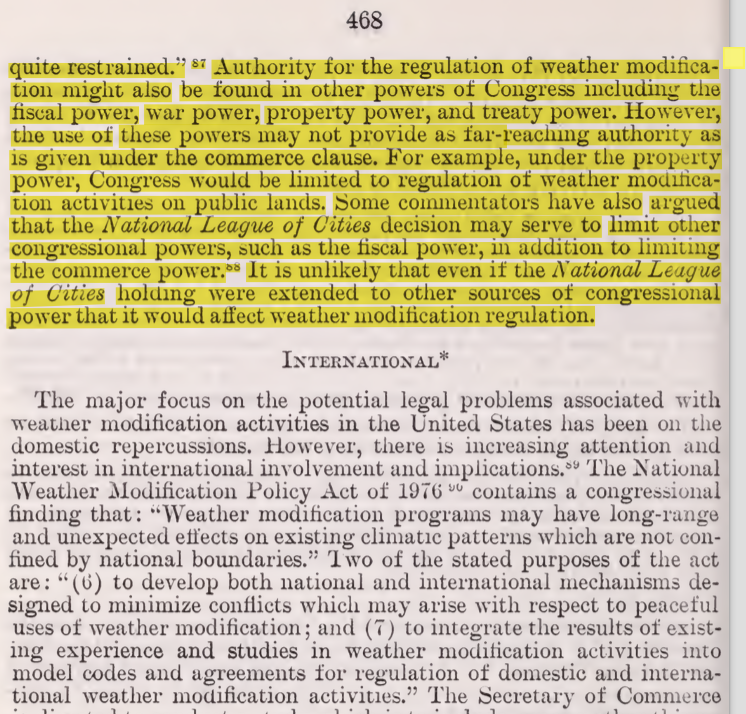 Revealed – US Senate Document Confirms National and Global Weather Modification (Geoengineering) Programs | "Global Possibilities"
Within this text a great many aspects and consequences of the ongoing national and global weather modification programs are discussed: Legal implications (including the need for total immunity from any form of prosecution), biological implications, societal implications, environmental implications, etc. 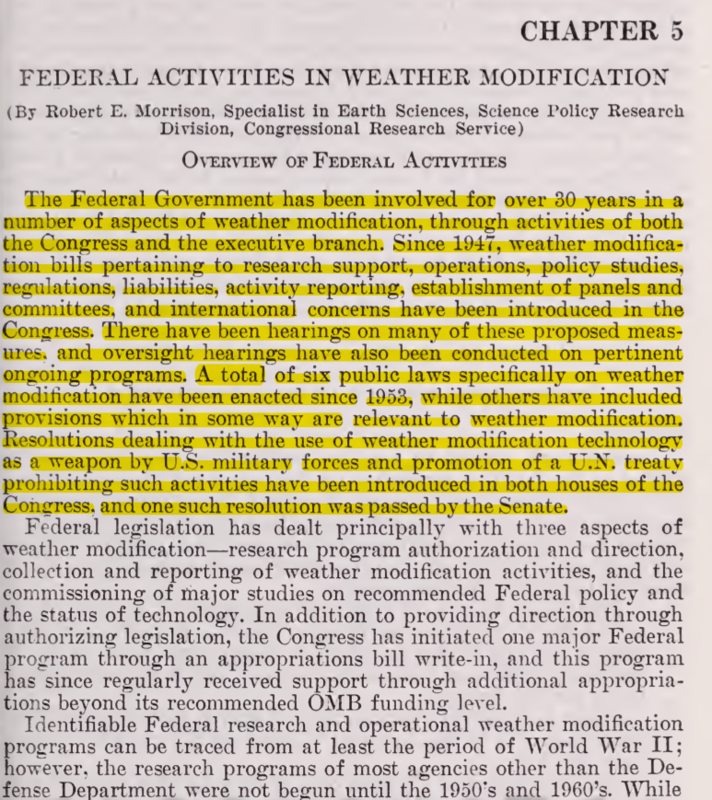 Also named in the document are the federal agencies as well as major universities involved. Again, because the entire document is a long and arduous read, some excerpts are posted below to give insight into the documents contents. 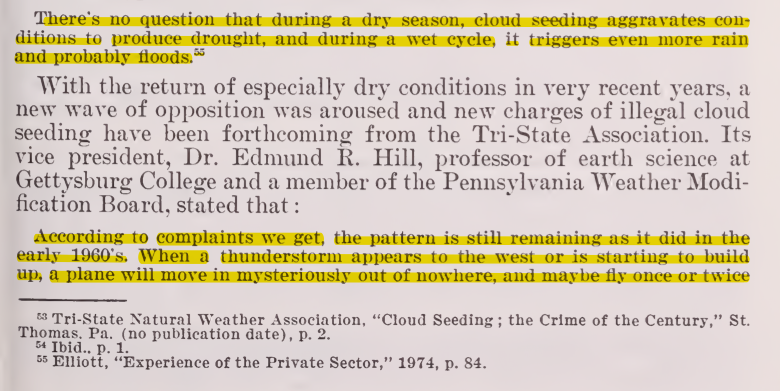 The mountain of official data that confirms the ongoing climate engineering insanity continues to grow. 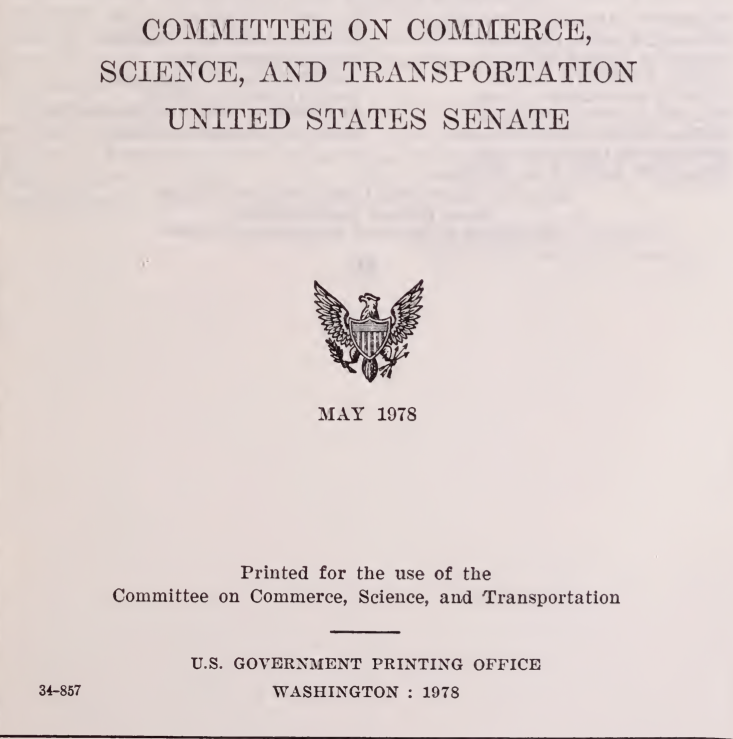 This extensive congressional document is a revealing and detailed addition to the official data that has already been compiled. 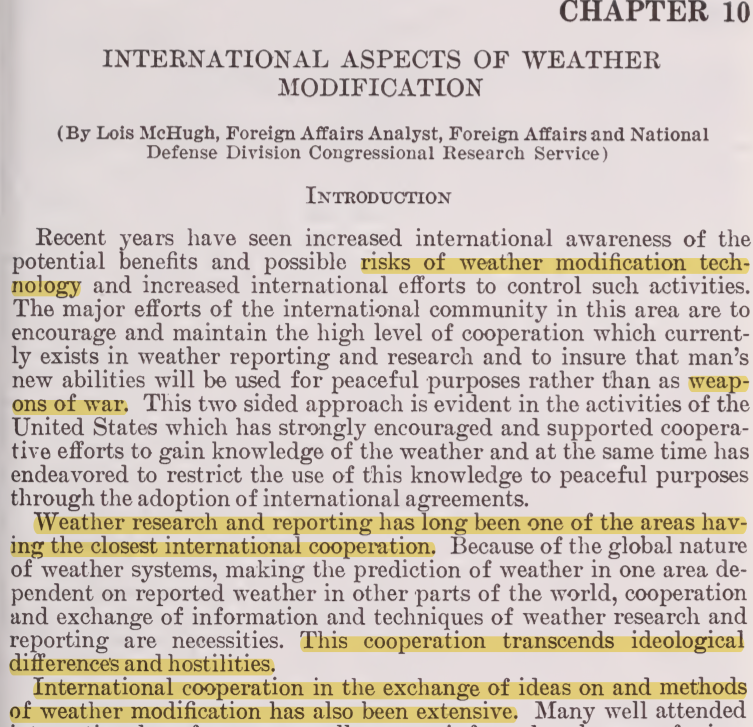 For many decades those in power have plotted and planned for “full spectrum dominance” of the planet and its populations, and the military industrial complex has long since openly expressed its desire to “own the weather“. 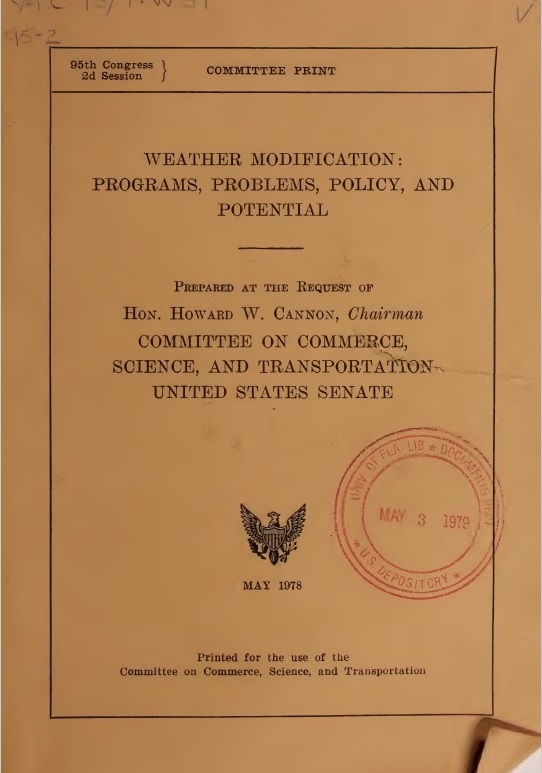 You can view the US Air Force document “Weather as a Force Multiplier: Owning The Weather in 2025” HERE. 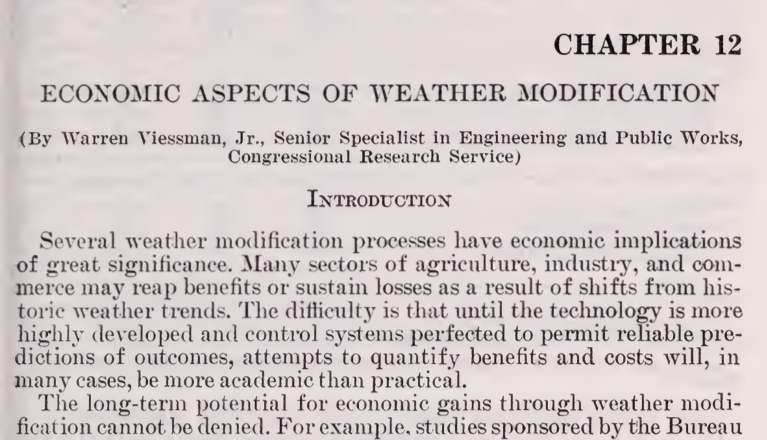 Another document previously located is an ICAS (Interdepartmental Committee for Atmospheric Sciences) report to the Executive Office of the President on climate engineering from 1966, entitled A Recommended National Program in Weather Modification. 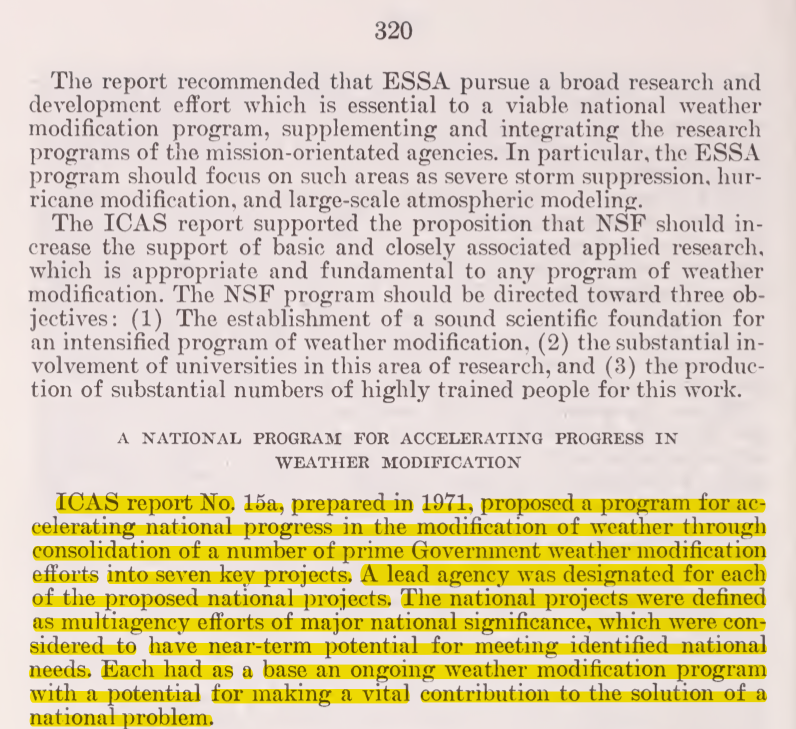 Unearthed from the NASA archives in late October of 2012, that document can be found HERE. 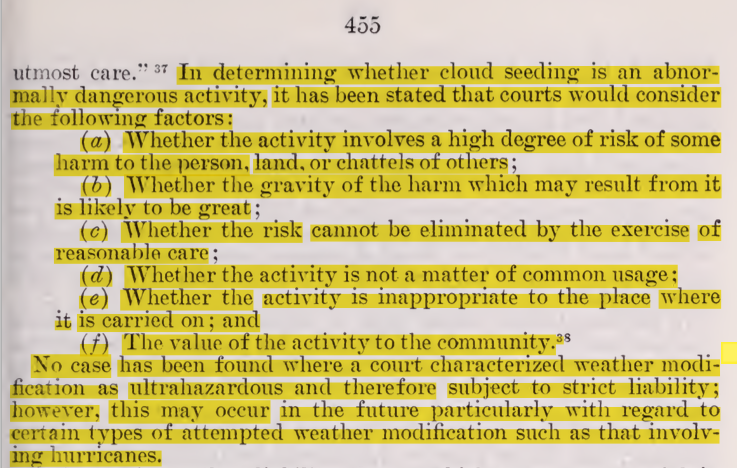 And an extensive list of Geoengineering patents registered with the U.S. patent office can be found HERE. 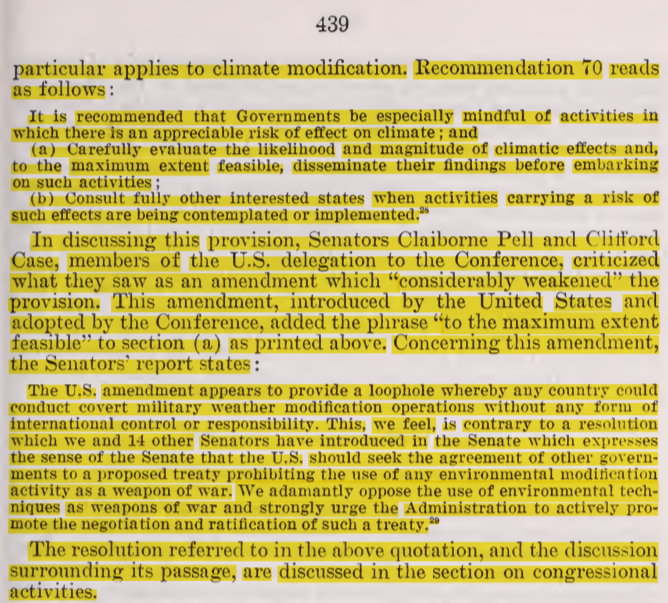 The excerpts shown below are only a small glimpse into this massive congressional document. 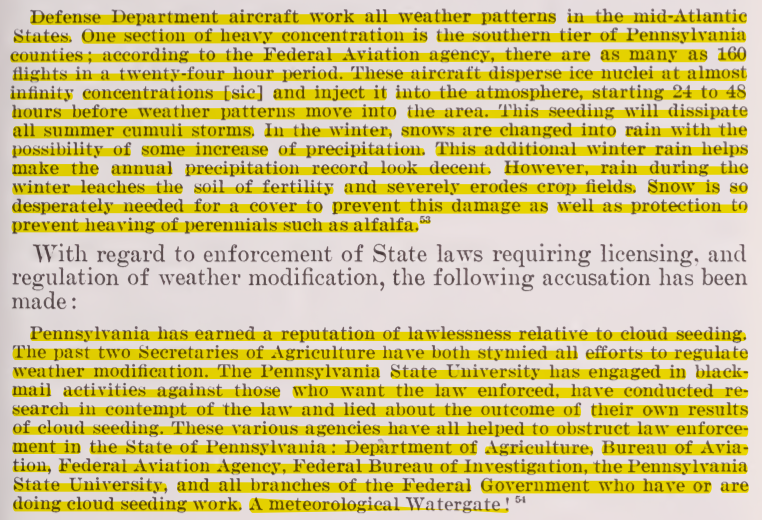 Click this link to view the entire document in PDF format. My most sincere gratitude to Steve Grimwood for locating this very important document. 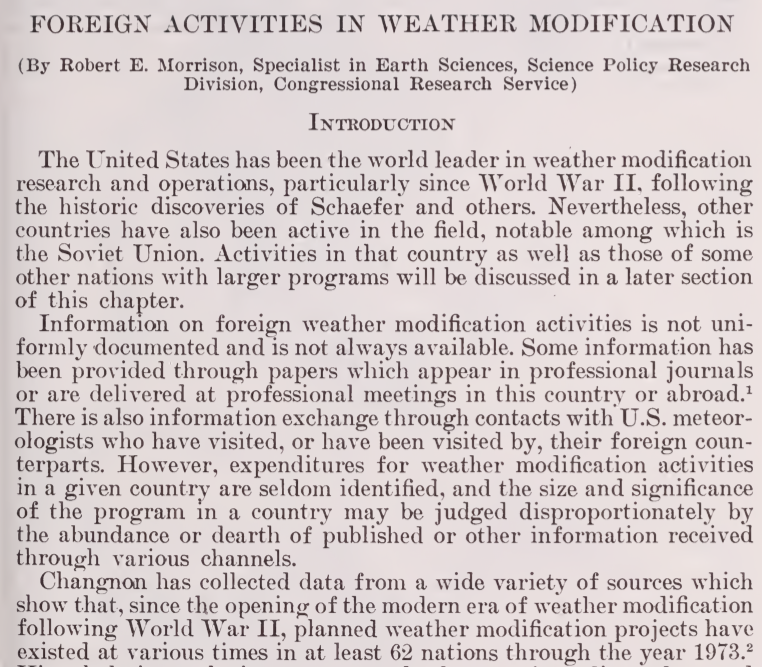 Those that doubt the twisted and psychotic nature of our own military need to consider long and hard the contents of the newly declassified 14 minute video below from 1952. The entire composition of this military “training” film is far beyond disturbing. 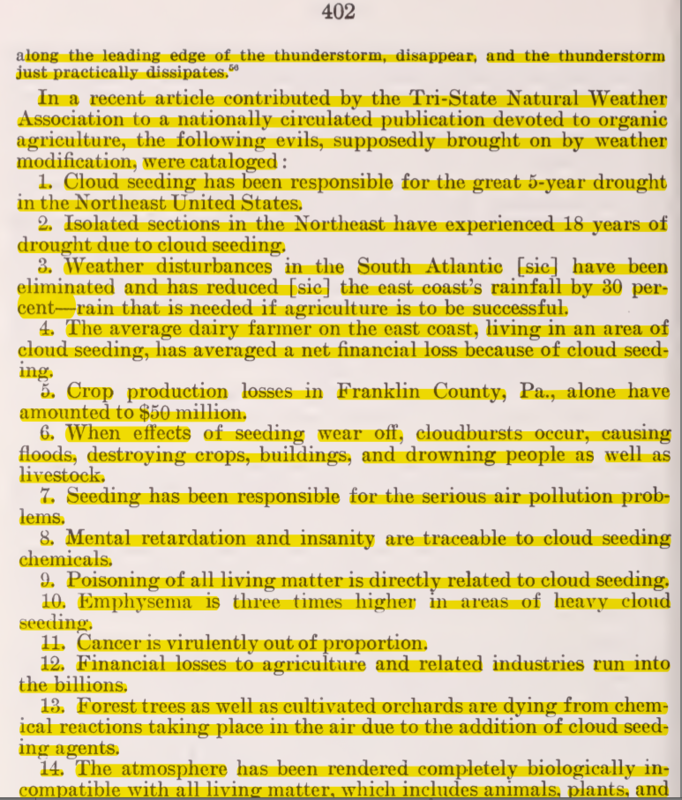 The criminal cabal that currently rules the world are well aware of the fact that populations are beginning to wake up to their ongoing global atmospheric spraying programs of total decimation and omnicide. After viewing the above video, would any sane person doubt the fact that those in power would not hesitate to use biological weapons against their own populations in order to retain their grip on power? 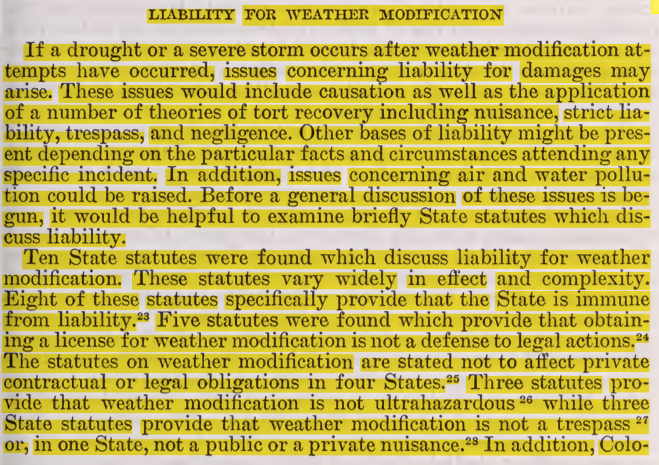 It is not just a possibility, but has long been a lethal reality that is clearly visible to any who bother to look up, do some objective research, and then put their sense of deductive reasoning to use. 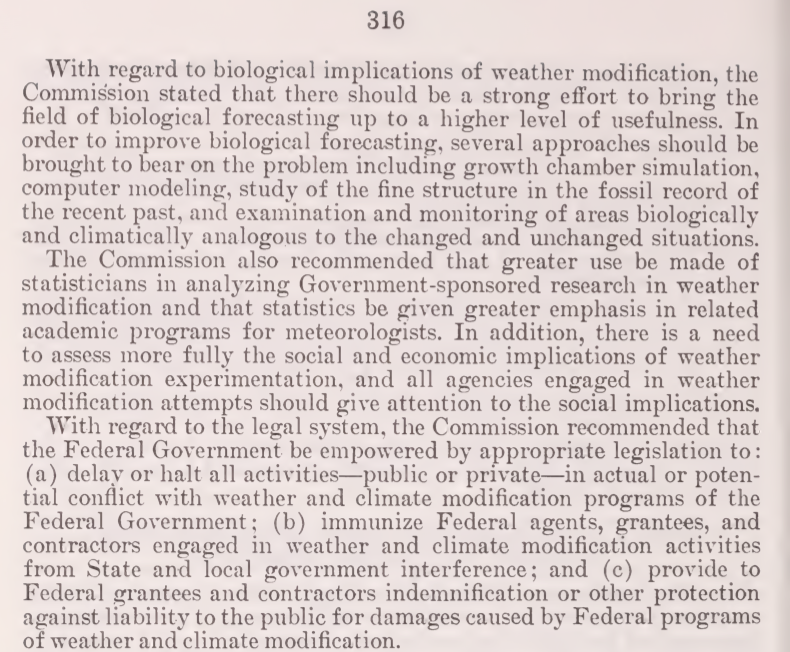 Climate engineering is weather warfare and biological warfare. There is no separating these components, they are all one and the same. We are all under direct assault, as is the entire biosphere. This is not alarmism, theory, conjecture, or speculation, it is verifiable fact. 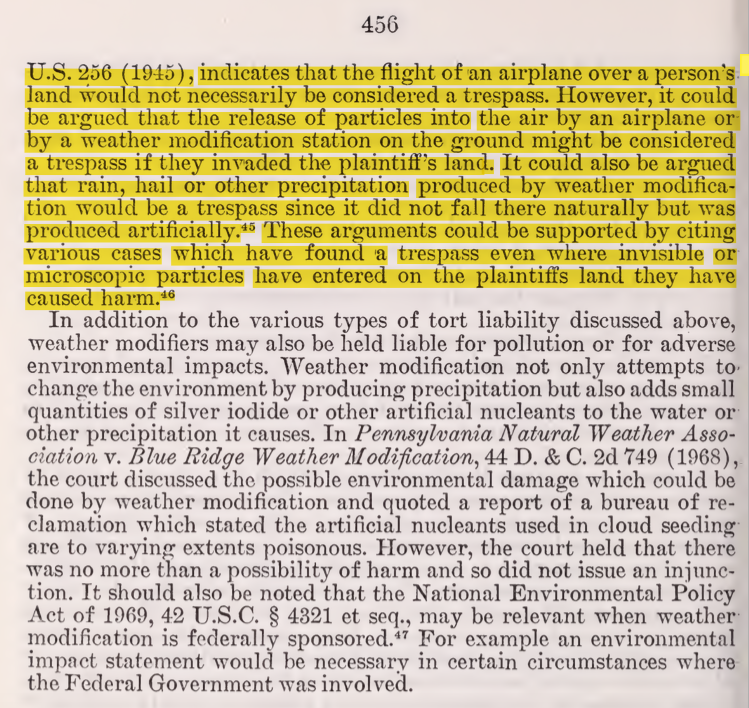 Check your priorities, if you are not focused on the critical battle to expose and halt the toxic spraying of our skies being carried out under the global climate modification/solar radiation management umbrella, then you are missing the point. 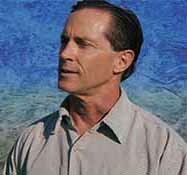 These programs of aerosol spraying are the most immediate threat to life on Earth short of nuclear cataclysm. 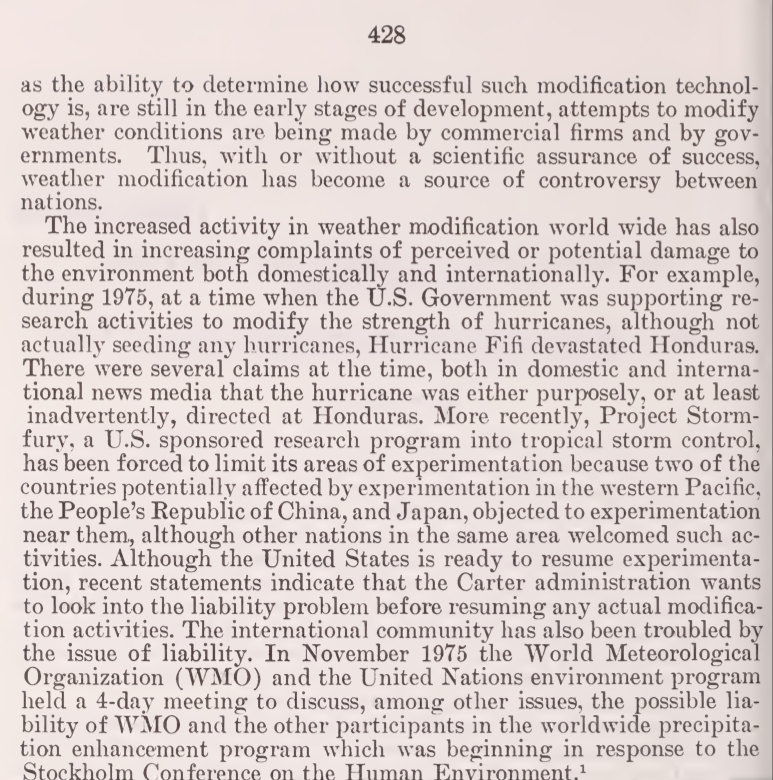 If the geoengineering insanity can be fully exposed, it can then be brought to a halt as people around the world demand its cessation. Don’t sit this one out. Make your voice heard in the fight for the common good while there is yet something worth fighting for.